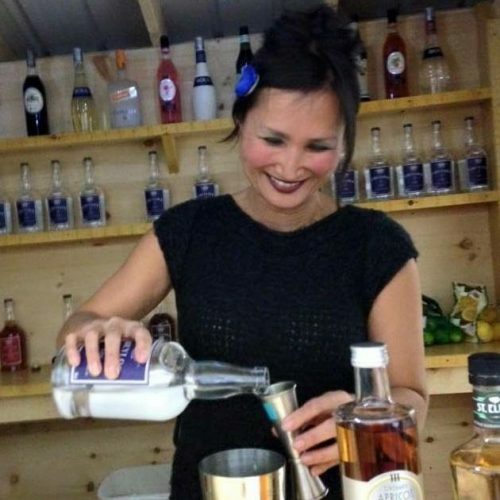 Vote for Outstanding Female Restaurateur | Santé Food.Wine.Spirits. Lani owns North Bennington's fine dining establishment, Pangaea, and The Lounge, it's more casual counterpart next door. Both properties offer exceptional dining experiences, but are incredibly different. While The Lounge has bar seating, high- and low-top tables and lower price point, Pangaea offers a formal dining experience. Lani has developed two unique spaces that have separate menus and staff. Her branding of the spaces is incredible. The local arts community (Lani herself is an artist) is embraced by Pangaea: art is on the walls and authors are invited for readings. Pangaea recently hosted a pop up for local chef, Mariam Shah, whose Pakistani cuisine is a favorite of Benningtonians. One of the most exceptional things about Pangaea is its impressive wine list *and* Lani's command of both her existing stock and wine trends. She is hyper aware of the cellar and offers local wine clubs and diners opportunities to explore rare wines. She recently established a prix fixe wine pairing option where diners are treated to a four-course meal with special wines. The owners and kitchen work with attendees to plan a meal that works, be it vegan, seafood free or to suit other dietary restrictions. You can see pictures and a small write up about the veg dinner they hosted for the Bennington Wine Tasting Meetup by going here. Lani has been exploring themed nights, also called pop-ups. Pangaea had a wildly successful ravioli pop up recently. Every course (even dessert!) was ravioli and the chef was out on the floor so diners could watch. Pangaea makes incredible ravioli. For a tiny town and relatively small place, Lani is a huge presence through her work in hospitality. She brings new flavors and experiences to locals and tourists, has loyal regulars who consider The Lounge their home away from home, supports local artists and has developed North Bennington as a dining destination. A well established, outstanding contributor to the industry. I have known Rena since 1993, we met when I first started as her wine rep. In the 26 years that I've known her she has gone from working for the restaurant to owning it. I've seen her work long hours and make some tremendous changes in the restaurant. She is not only talented as a Chef but also a great businesswoman. She's one of the most creative women I know in the restaurant business, I've seen it and tasted it firsthand. Rena is also one of the most charitable women I know. I've seen her participate in everything from large Food & Wine festivals to local fundraisers for the Women's Shelter, the Symphony, Make A Wish and more. She gives back to her community ten fold and doesn't boast about her involvement. When she bought out the original owner she made immediate changes not only to the menu (showing her influence more) but also in the way that business is conducted. She always tells me that she wants to be known as a fair and respectful boss. I think she does that because I know that she is loved and respected by all who work with her and not just the managers but all the employees. Rena is also about uplifting women in business. She has several friends that own restaurants and other businesses, she is always available for them if advice is needed. She doesn't see this as competition just helping another female succeed. I think she is what you are looking for in today's environment. She's been thru the hard times and now is a great example of a woman making it in an industry once dominated by men. I hope you consider her for this award as I feel she is so deserving. 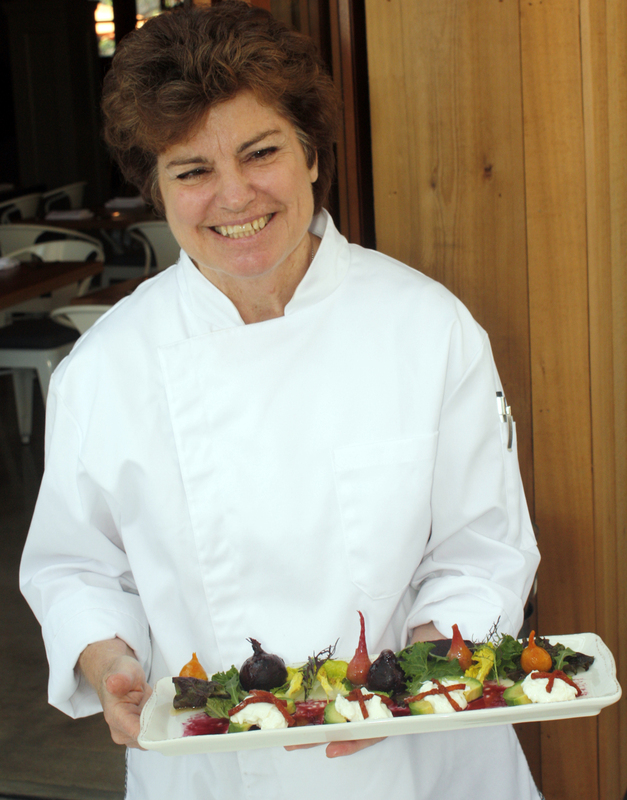 Cathy Pavlos is the Chef/Owner driving force behind Provenance Restaurant in Newport Beach. She grew up in a typical close-knit large Italian family and most of her childhood memories have to do with cooking with her grandmother for the family’s Sunday suppers. Though educated as an architect and an art historian, with a PhD in Environmental Design and Analysis and a license in Architecture, and despite more than 20 years in architectural practice and as a college professor, Pavlos has always been drawn back to cooking; specifically her culinary roots: Italian and Californian. Having lived in Italy and traveled to Europe nearly every year for the past 30 years, she has developed a collection of remarkable recipes, inspired by her early memories of rustic Italian cooking and her favorite restaurants in Italy, France and Greece. In 2002, Pavlos attended a boot camp at the CIA in Napa Valley for professionals looking to change careers to Culinary Arts. She returned to Orange County and took a job as a dishwasher/prep cook in a small organic café in Newport Beach. She worked her way up to opening and closing Chef, and in 2005, with her husband Elliott Pavlos, designed and opened the Irvine-based restaurant LUCCA. Known for its one-of-a-kind menu, reminiscent of a Euro bistro, complete with an exquisite wine bar, wide selection of cheeses and charcuterie and seasonal small plates and tasting menus, LUCCA was awarded four stars by the Orange County Register in 2006. LUCCA has also been named one of the top 10 restaurants in Orange County twice by Orange Coast Magazine, and has won the Golden Foodie Award for Best Mediterranean three years in a row. Having earned a reputation as one of Orange County’s most unique and dynamic chefs, Chef Pavlos opened Provenance in Newport Beach in 2014. She played a pivotal role in the design and construction of Provenance as the adaptive reuse concept evolved from a strip mall vanilla shell into a contemporary Napa Valley farmhouse, porch and garden. The menu features fresh and flavorful ingredients that change by season, many of which are grown in the restaurant’s own 1,300-square-foot organic raised-bed garden. Practicing what Pavlos calls “New California Cuisine,” Provenance emphasizes local ingredients and Mediterranean techniques overlaid with pan-Asian, pan Latin, and pan Mid-Eastern flavors. Food presentations are designed like architecture: each item and flavor having its place in time and space. Since its opening, Provenance has drawn rave reviews from the media, and has earned its place in the Best New Restaurants in Orange County issues of OC Weekly, Riviera Magazine, Orange Coast Magazine, Orange County Register and Where Magazine. Provenance won the Golden Foodie award for Best Vegetarian Restaurant in 2015 and 2016, even though Provenance is not strictly speaking, a Vegetarian Concept. In 2016 Chef Pavlos was named Restaurateur of the Year by the Orange County Business Journal. She lives in Newport Beach with her husband, Elliott, and two cats (who actually run the house). When she is not at the restaurants, she loves to travel, researching not only the practice of restaurant operations, but also the idea of Food and Culture, and its meaning over time and place. Yuki has created a classy, New York City style destination in a region known for much more conservative venues. Methuselah Bar & Lounge is a shining beacon of vitality and vision in a small city that is slowly showing signs of revitalization.